It’s my favorite time of the year, costume time. Hands down my favorite thing to sew are costumes and some of my favorite costumes are Princess Dresses. My husband was making fun of me the other day because I told someone I was lost when it came to menswear but if they want me to whip up I big poofy princess dress I’m their gal. 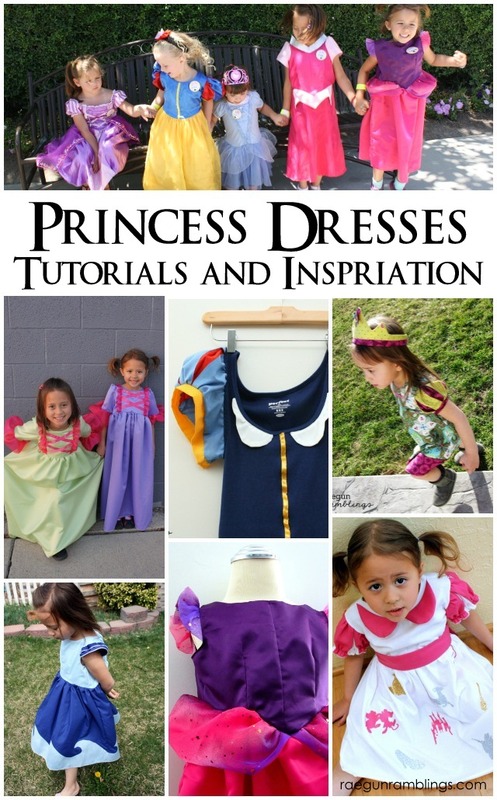 I know lots of you will be sewing princess dresses in the next few months whether for Halloween, dress up, or as Christmas presents so I thought I’d gather up some of my favorite tutorials for all things princess. I hope that when you look through these if you’re a bit nervous about your project it will seem more doable for you. The best trick for How to Gather big skirts. This way makes the job fast and easy! I use it every time. Quick tutu tutorial. You can make any princess into a tutu version. 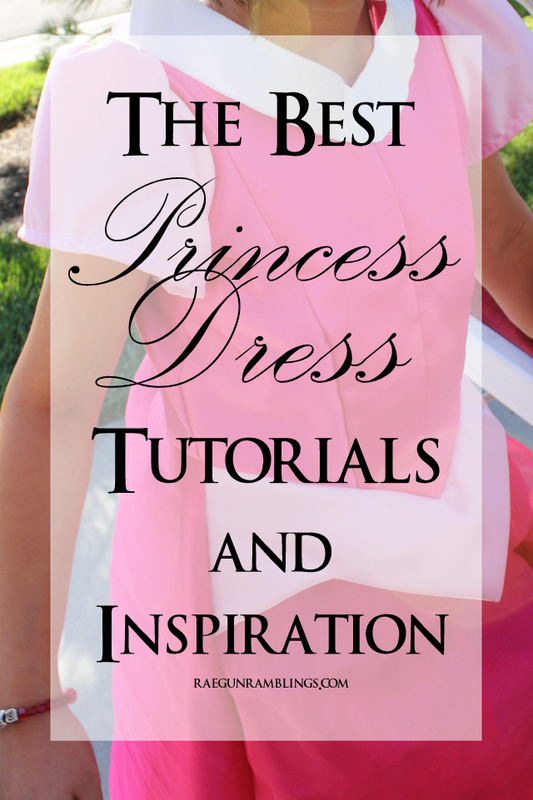 How to add corset detailing to your princess dress. And as a bonus if you want to do Anastasia and Drusilla from Cinderella and easy way to do that! If you’re into upcycling this tutorial will show you how to turn 1 yard of fabric and an oversized T-shirt into a princess dress. Easy Snow White Top tutorial all you need to do is pair it with a yellow skirt and you’re good to go. All little princesses will flip over a cascade of ruffles in the back of their princess dress! A bunch of Princess Dress inspiration and a little commiseration if you run into any bumps while making your own! It’s fun to interpret our favorite Disney princesses. Here’s a fun Tiana dress! Super easy tutorial for how to make poofy two-tone princess sleeves. Add a peplum or bustle or whatever you call it to any princess dress. It’s actually really easy with this princess bustle tutorial. Some times it’s fun to make up new princesses. Check out this cute Water Princess dress.